Silicon is a type of rock that is kind of like a metal and kind of not. The words for rocks like that is metalloid. We learned before that silicon is a semiconductor which means it is ok but not great at letting electricity go through it. After a butterfly has hatched from it's egg, and eaten a lot of food as a larvae (or caterpillar) it goes off to find a place to hang out. Caterpillars usually find the bottom of a leaf, and attach themselves to it with some silk. After that they shed their outer skin, and underneath is a hard skin that becomes the shell they stay in for a while. When they are in this shell they are called a pupa or sometimes a chrysalis. They stay inside the chrysalis and start growing their wings so they can turn into a butterfly. The pancreas is a part of the digestive system that is right next to the duodenum. It is connected to the duodenum, and when food passes by it lets out chemicals that help your body control the amount of glucose (which is like sugar) it uses for energy. It releases chemicals called insulin, glucagon, somatostatin and polypeptide. Angola is a country on the Southeast coast of Africa, on the Atlantic ocean. The flag of Angola is a red stripe above a black stripe, with a wheel, knife and star in the middle. The red stands for the blood of the people fighting for independence. The black is for the continent of Africa. The wheel is for the machine workers and the knife is for the farmers. To eat in Angola you might have calulu, which is dried fish with vegetabls and rice. There is a place called Miradouro da Lua which means viewpoint of the moon that many people go to visit. In Jesus' Sermon on the Mount he told his followers that they should not judge other people. He said that we all do things wrong, so we shouldn't be judging other people because we are not perfect ourselves. Solar flares are super bright flashes from big explosions on the sun. If the solar flares are big enough, they can cause problems with some types of computers that try to tell the weather, or send signals across the world. Let's keep learning the months of the year in Spanish! We've learned that January, February is Enero, Febrero, March, April are Marzo, Abril, May, June is Mayo, Junio, July, August is Julio, Agosto and September, October is Septiembre, Octubre. Silver, like gold is a very valuable metal that people use for jewelry. It is the best metal at letting electricity go through it, and letting heat pass through it. Silver is also sometimes used in teeth to fill in areas where dentists drilled out parts of teeth. Unlike gold, silver does need to be polished to stay shiny. When silver gets dirty it is called getting tarnished. When a baby butterfly hatches from it's egg, it crawls out as a tiny worm called a larvae. Another word for the butterfly larvae is a caterpillar. Caterpillars spend almost their entire time looking for food. They mostly eat leaves. Caterpillars don't have claws or teeth to fight with, so to protect themselves some have what look like scary eyes on their body, some make a stinky smell, and some are poisonous. 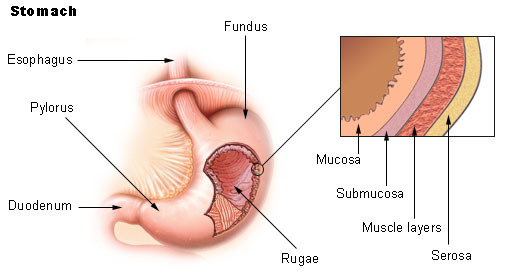 After the mushed up food comes out of your stomach through your pylorus, it goes into your duodenum. Your duodenum helps mush up your food some more using special chemicals, it tells the pylorus when to close up and not let too much food through. It also connects to other parts of your digestive system like your liver, gall bladder and pancreas. Those parts of your body let out liquids and chemicals that help break your food up. The Ivory Coast is a country on the West coast of Africa, right on the Atlantic Ocean. The flag of the Ivory Coast is three vertical stripes. Orange for the land, white for peace, and green for hope and the forest. This flag is interesting, because it is just like the flag of Ireland, except Irelands is green-white-orange instead of orange-white-green. To eat in the Ivory Coast, you might have yassa, which is a spicy food cooked with onions and lemons. The Basilica of Our Lady of Peace is a huge church in the town of Yamoussoukro. The Ivory Coast was given it's name because they used to sell lots of ivory there. Ivory is made from the tusks of elephants and other animals. In the past many things were made from ivory, like piano keys. 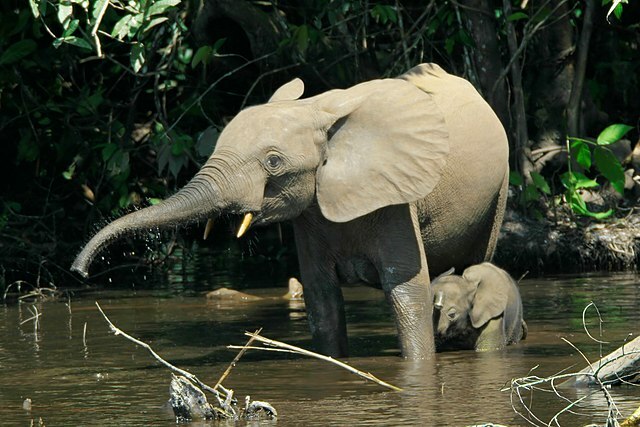 We now have new ways to make piano keys, and we know that killing elephants for their tusks is wrong, so it is against the law to kill elephants for their tusks. In Jesus' Sermon on the Mount he tells his followers not to store up treasures for themselves here on earth, but to store them in Heaven. Sometimes if you look at the sun with the right kind of telescope, you can see dark spots on the sun. This is caused by the magnetic field around the sun causing problems on the photosphere. It creates some cold spots no the sun. The normal temperature of the photosphere is over 10,000 degrees F, and the temperature of the sunspots can get below 5,000 degrees F.
That's still way hotter than Earth, but the difference in temperature makes a dark spot on the sun, and we call that a sunspot. We've learned that January, February is Enero, Febrero, March, April are Marzo, Abril, May, June is Mayo, Junio and July, August is Julio, Agosto. Gold is a very valuable metal, and we use it a lot in jewelry because it is shiny and pretty. One of the reasons it works so well in jewelry is because it is the most malleable of all metal. That means you can smash it with a hammer and it won't break into pieces, it will just flatten or change shape, kind of like a really hard piece of clay. Gold also does not change when it is out in the air or when it gets wet, like the way that copper turns green unless it is polished all the time. It is also a very good conductor of electricity, so it is used in computers and circuits a lot. Because gold has so many uses and is so pretty, it has been used as money in the past. People still will pay lots of money for gold no matter where in the world you are. Butterflies are beautiful creatures, and we know they come from caterpillars, but how? Butterflies lay eggs on to a leaf, and the eggs stick to the leaf with a special glue. The eggs are protected by a hard outer shell called the chorion, and they are made waterproof with some wax. The eggs usually hatch in a few weeks. If the eggs are laid close to winter time, they will hatch in the spring. 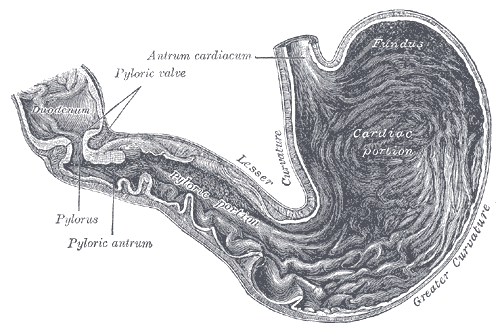 After the food is all mushed up into chyme, it slowly goes out of your stomach into a tube called the pylorus. Your stomach's job of mushing up all the food is done, so now it's time for your body to do something with all that mushed up food and it sends it down the tube. Cameroon is a country in Africa on the West coast, right on the Pacific Ocean. Just like Ghana, the Cameroon flag has the colors green, red and yellow.. These are sometimes known as the Pan African colors, and countries in Africa share them to show that they are all together in Africa. The flag has a green stripe for the forests, a red stripe for unity (which means working together), a yellow stripe for the sun and desert, and a yellow star in the middle which also stands for unity. To eat in Cameroon you might have ndolé, which is a stew of nuts, bitter leaves, and fish or beef. There is an active volcano called Mount Cameroon that erupts from time to time. The last time it erupted was in 2012. A musical instrument in Cameroon is called the Bamileke drum. During Jesus' Sermon on the Mount he told his follows that they should not hate their enemies, but instead should love their enemies. This can be difficult to do, but God loves all of us. It can be really easy to love the people who love us back, but to love even our enemies helps us to understand how God loves all of us. and it is so large that it stretches beyond earth all the way beyond pluto in our solar system. The magnetic field is like a big cloud with winds that have an effect on all of our planets, and can even cause changes in the weather on earth. The field swirls around in a circle, and can't be seen but scientists have tried to draw what it might look like. We've learned that January, February is Enero, Febrero March, April are Marzo, Abril and May, June is Mayo, Junio. When we think of metals, we think of heavy hard things, like iron or copper. Those are all solid metals. Mercury is a very special metal that is a liquid at normal temperatures! All metals can be melted down to be liquid if they get hot enough. The temperature they turn to liquid at is called their melting point. Most metals have to get very hot to turn to liquid, like iron needs to be 2,800 degrees F.
Mercury stays liquid at normal room temperature, and won't turn into a solid until it gets super cold -37 degrees F.
Another interesting thing about mercury being a liquid, is that some metals are lighter than mercury, and the metal can actually float on top of the liquid. We've all seen those nasty mosquitos flying around, but you might wonder what baby mosquitos look like. Like many other insects, mosquitos go through 4 stages: egg, larvae, pupa, adult (also called imago). The adult mosquitos lay their tiny eggs in the water. Eventually the eggs hatch and turn into mosquito larvae, which look kind of like long tiny skinny fuzzy caterpillars in the water. The larvae swim around in the water eating things like algea and bacteria, things we consider garbage but they eat for lunch! They breathe air through their body with holes on their bodies called spiracles or siphons. 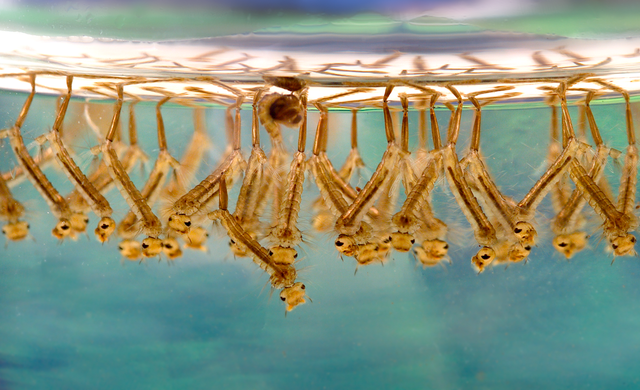 If mosquito larvae are living in an area that has a cold winter, they can actually get frozen solid in the water, and survive until the next spring to grow again. 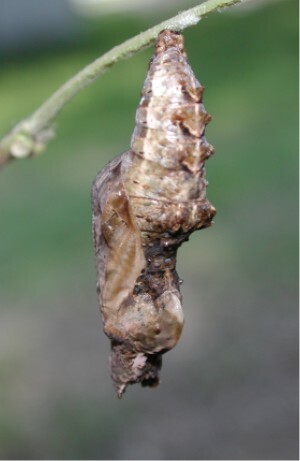 When the larvae get enough food, they turn into a pupa, which looks sort of like a comma shape. The pupa doesn't eat, it just stays in the water and works on changing its body, kind of like a caterpillar turns into a butterfly. Eventually the pupa gets big enough, cracks through its shell and then out flies a grown up mosquito, off to bite someone! Mosquitos are annoying, but they are very important for wildlife. Many animals like fish, frogs, dragonflies, spiders and bats all eat mosquitos either as larvae or imago. When you chew up and swallow your food, the mushed up food is called bolus. After your stomach's proteases and hydrochloric acid work on the food, it is called chyme. Madagascar is an island country in the Indian Ocean off the Southeast coast of Africa. 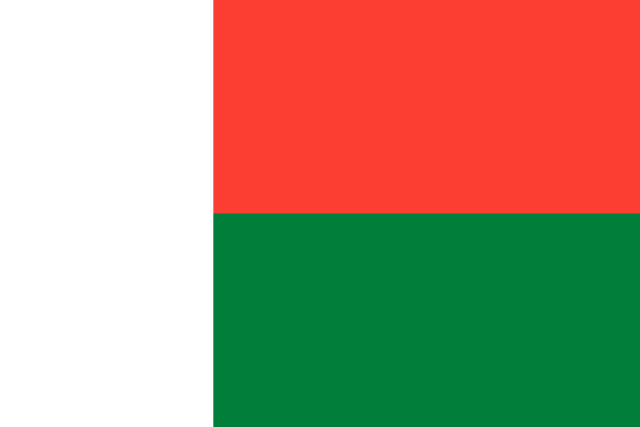 The flag of Madagascar is white, red and green. The red and white are for an old kingdom called the Merina kingdom, and the green was the color of the poor people in the country. To eat in Madagascar you might have voanjobory sy henakisoa, which is a type of groundnut cooked with pork. A musical instrument in Madagascar is called the valiha, which is like a long tube with guitar strings strapped to the outside of it, that you play like a guitar. In Madagascar they have a custom called famadihana, where every seven years families dig up the bodies of their famiy members who died long ago, wrap them in fresh cloth, then dance around their burial tombs. In the Old Testament, there was a law saying an eye for an eye, meaning that if you fought with someone and poked out their eye, then you would have to get your eye poked out in return. This all was a way to keep people from being mean to each other so they didn't get punished. When Jesus came along, he told people that if someone slapped you on one side of the face you should not hit them back. Even more than that you should turn the other side of your face even if they wanted to hit you there too. Jesus wasn't telling us to go get beat up by a bully, he was just trying to tell us that we shouldn't fight people, just walk away from fights. We've learned about the Sun's core, radiation zone, convection zone and photosphere. The area outside the surface of the sun is called the corona which comes from the word crown. Even though the corona is outside the surface of the sun, it is even hotter than the surface! The photosphere surface is about 10,000 degrees F, and the corona is over 5,000,000 degrees F.
We've learned that January and February are Enero and Febrero and March and April are Marzo and Abril. Copper is a shiny red-orange colored metal that has been used for a long time as a metal for making tools, weapons, and even roofs. Even though eating metal sounds like a weird thing, there are traces of copper in some foods that are required for your body to be healthy. When copper is outside for a long time, it turns green! Probably the most famous thing made of copper in the USA is the Statue of Liberty. When the statue was first created out of copper metal, it was a shiny red-orange color, but through the years the copper has turned to the green color we see today. The osprey is a large bird that lives near the water, and is such a great fishing bird it has nicknames like sea hawk, fish eagle, river hawk and fish hawk. To catch fish, the osprey flies over the water, sometimes up to 130 feet above the water. When it sees a fish in the water, it dives down feet first and grabs the fish in the water with it's claws (sometimes called talons). The osprey is very good at holding on to the slippery fish because it has two talons pointing forward and two pointing backward, so it can really grab the fish. It also has sharp scales (called spicules) on the bottom of its feet, that are like spikes that keep the fish from getting away. The osprey's eggs are whitish with red-brown splotches on them. The bird call is a high pitched whistle, that people call cheep cheep or yewk yewk. The osprey can grow to be two feet long, and almost six feet wide. They are found in almost every part of the world, from the United States to Australia. We just learned that the stomach has hydrochloric acid in it to help break down your food. It also has things called proteases that are special chemical molecules that also help break the food down for your body.